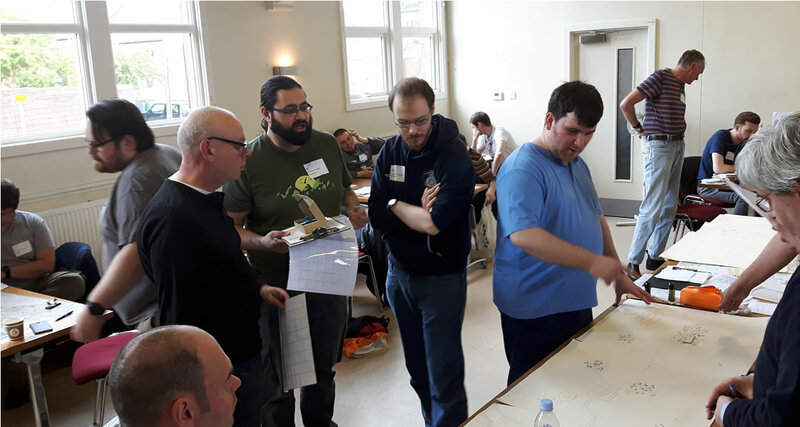 What is a Megagame? 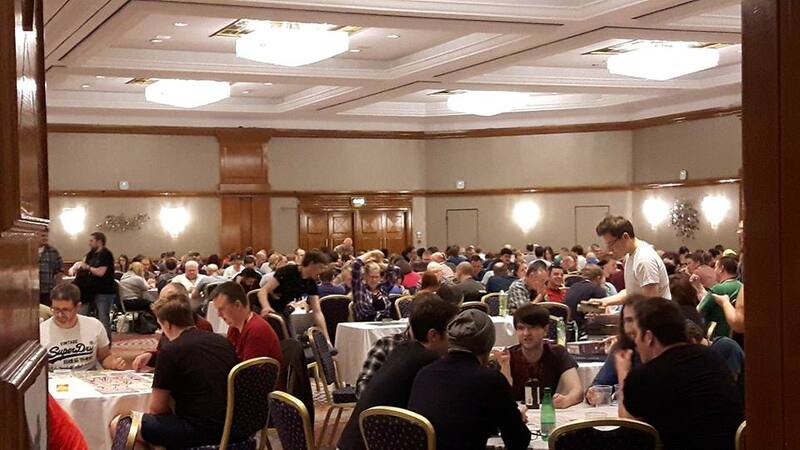 Imagine if you were able to play a boardgame on a truly grand scale, with a player count in the dozens, scores or even hundreds? 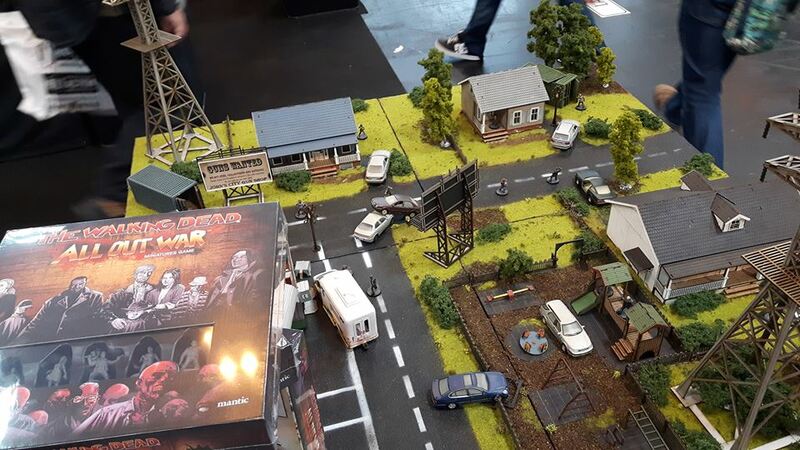 What if you were able to play out a wargames campaign with a full range of interacting commands, their conflicting missions and agendas, and get a conclusion within a day. What if you didn't need to worry about the bulk of the rules because that was handled for you by an active team of umpires instead. 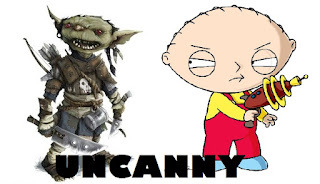 What if you play huge games with all the uncertainty and hidden information of real life? This would be a Megagame. I last played anything like this probably more than 20 years ago, and in that context back then, more of a live role playing experience. 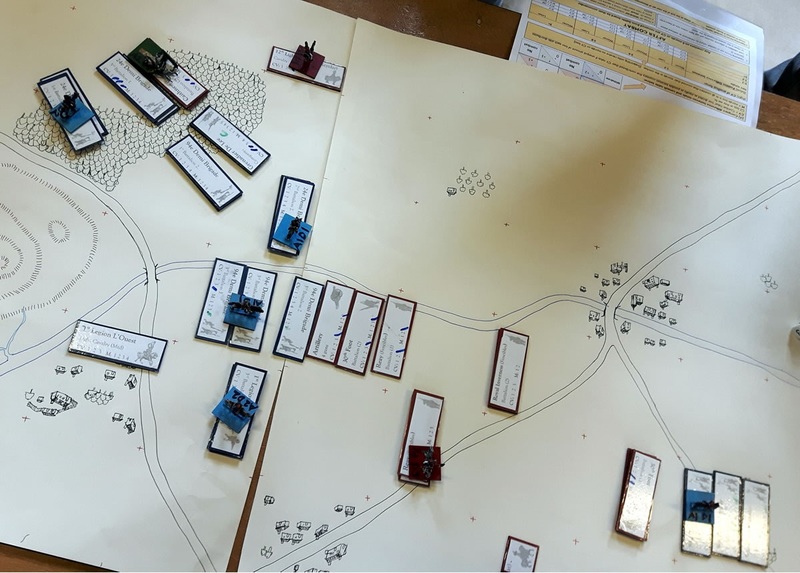 But this was my first experience of a 'professionally' run event, and my first that could be considered a traditional military strategy game. Some thirty players were gathered for a treatment of the French invasion of Ireland in 1797. In this game we reflected a more concerted effort by the French to raise rebellion and place a thorn in the side of the British. Myself and my friend James were recruited to part of the French army, as a French general and Aide de camp respectively. When I arrived James and most of the French command were already in talks about what strategy to adopt, and so I was swiftly dropped in on a half formed plan to land in Bantry Bay and head for Cork. I wasn't sure if this was the only place our navy (read, the umpires) would permit us to and or if this was the choice of our commander in chief, but it seemed a safe if rather distant location to begin. With a team of umpires to handle the rules, of a free-kriegsspiel format, the location of the various factions of troop and conflict or communication amongst all of them, it was rules light for the players. Which meant we could focus on the things that really mattered. 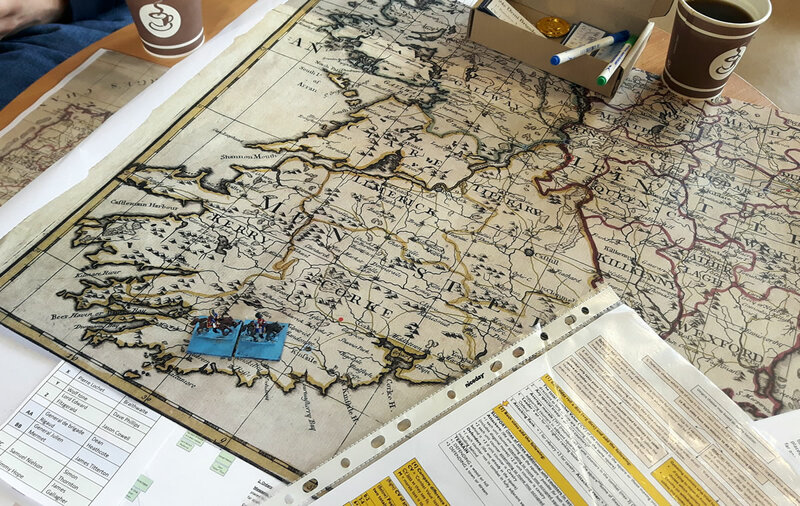 We initially were able to discuss our mission and strategic objectives as a group; agreeing to a column of march on Cork and then further movements to break British control of the south. To this end each individual commander wrote his orders and passed them the the umpires to execute. As we set off though, problems began to arise. Our commander insisted on column of march with each man carrying two muskets, intending to distribute them to local rebels. This action slowed us to a crawl, and after travelling less than ten miles in two days, we found ourselves dumping the spare arms to a cache, and splitting the army to allow for more 'Napoleonic' parallel movement upon our objectives. Now we were at range and could only communicate by messages. I took the opportunity to try to taunt the enemy. You would, wouldn't you? For a couple of hours all was uncertainty. We did not know where the enemy was, our Irish allies however were pleading for help to the North where an uprising in Limerick was developing; but our commander in chief seemed determined to hug the coast and head east. In the end an agreement was made for about half our forces to head north. In the end all but our commander would move in that direction. Contact was made with the enemy earlier than we assumed, and it transpired that they must hav had forces in the area we landed. News reached us that the cache of arms was discovered and destroyed. Not a good start; by this point morale seemed low amongst the French and our commanders' abilities, in doubt. 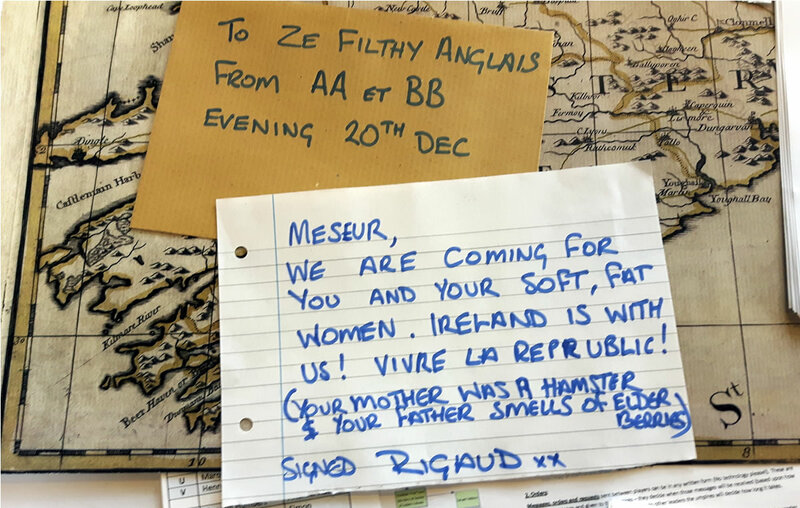 But intercepted letters from the British gave clear clues to their movements, indicating our move north to Limerick was a wise one. 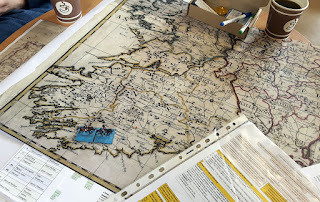 These gave me my own ideas, and I started seeding my messages with information about a fictional french regiment landing at Wexford. Our own commanders would know it was false, but if intercepted it could confuse or distract the enemy (unless they were in Wexford at the time). Whether this worked I have no clue, but hen I found my brigade operating as rearguard in the hinterlands, it kept me entertained. My Aide de Camp was the first of us to be drawn into battle, having been sent ahead with two of our regiments to support the siege of Limerick. One feature of the combat system was that you could only know the size of you enemy by contact, scouting them was unlikely to reveal any details, but once encountered you could keep them in range and adjudge what you could expect; shared information with your allies would fill in the picture of what was local to you, friend or foe. A major engagement at Limerick saw the British heavily defeated, and forced to retire. But elsewhere smaller engagements had been going their way. Still French troops marched into the port, and a brigade was sent further north in pursuit of the British. Meanwhile, I was covering our rear with 600 men. Kicking my heels marching to and fro looking for purported loyalist Irish militias. Suddenly I was called to battle, realising I would be alone in doing so. I was facing due south and discovered two brigades with some 3,000 men facing me. 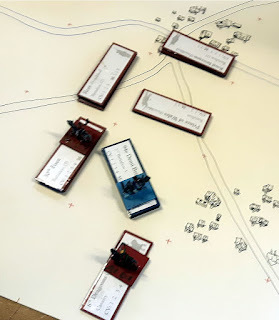 In keeping with the rules I chose to quit the field as soon as it was clear I was massively outnumbered; and dashed north sending messengers ahead to warn of the pursuit. I met James' portion of our brigade soon after and we briefly stalled the British advance south of Limerick, giving time for our allies to return to the city. Again we disengaged without a fight, being outnumbered still two to one. Our commander in chief was somewhere to the south and his letters of command were arriving two or three days later than the operations in the field. 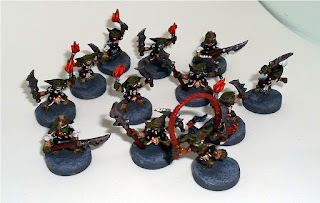 We intercepted the rest of our army outside Limerick and an operational briefing was held. 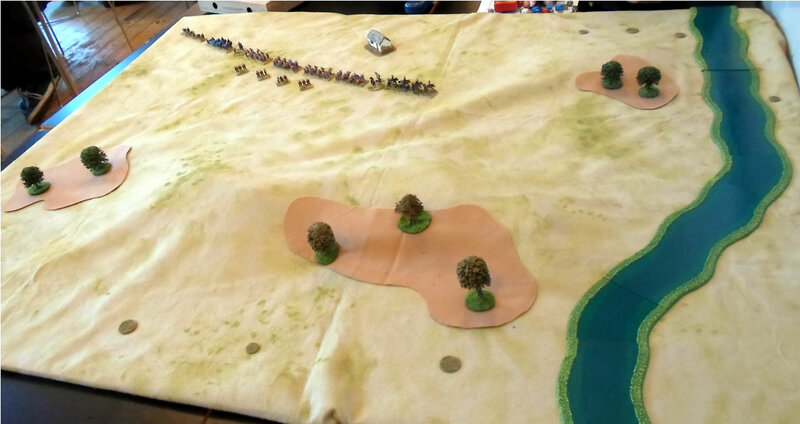 Aware that now both of our major formations were being pursued by forces that thought they outnumbered us heavily, we were able to pull troops out of the port and make a decent stand. At last a major engagement for me, and perhaps the most critical battle of the day. 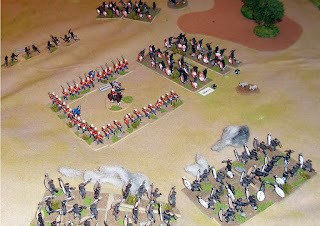 My brigade was the meat in the British sandwich, but this was to allow our other divisions to take the British rears; the formations were moved into the battlefield dependent on their relative positions as judged by the umpires, as it was we surrounded the British, after a fashion. We had to make some hard choices, one was that James was to bait the British to our right, a single battalion to face a brigade. This would allow me to take the main force to hit the flank of the other British brigade. 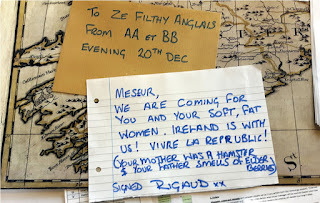 I wished James 'Bonne Chance' and bid him au revoir, fearing it was more likely 'adieu'. Remarkably though James field orders saw him maneuver clean past the enemy, who clearly never expected him to advance on them (vive la France!). He then went on to fight an extraordinary rearguard action, holding the British at bay for the rest of the day. The unabashed hero of the day, as his action held up an entire Brigade and allowed the rest of us to exert maximum force on the enemy. My battalions rolled up the British flanks, my lack of involvement in previous engagements meant that I had the freshest, strongest troops. This proved critical when I faced the traitorous Irish Grenadiers as the light faded. A grinding battle saw them fare worse, whilst the British regiments were being forced back and badly mauled. The sun set and the two forces disengaged, it was also the end of the game as a whole. The umpires adjudged it a draw, and we had a half hour or so of group debriefing, in which it was confirmed some of our communiques were being intercepted, our rebels had harried the British lines, but equally some of our supposed allies had switched sides. 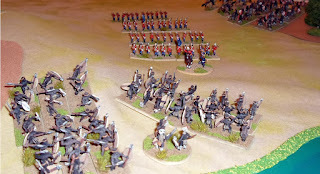 In the end, the French were desperately short on supplies and wearing their welcome thin with the locals; but the British were fought into the ground, and would have to await reinforcements from England before being able to carry out any further action. So was it fun, would I recommend Megagaming? 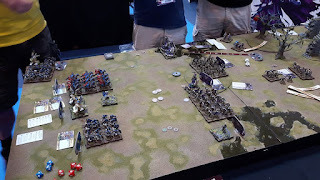 This event reflected elements that a single battle would never manage, and tackled the most interesting elements of a campaign in a tight format. We had fog of war, communication issues, logistics and all the rest to tackle, all enabled by a team of umpires with a god like view of what was really going on. 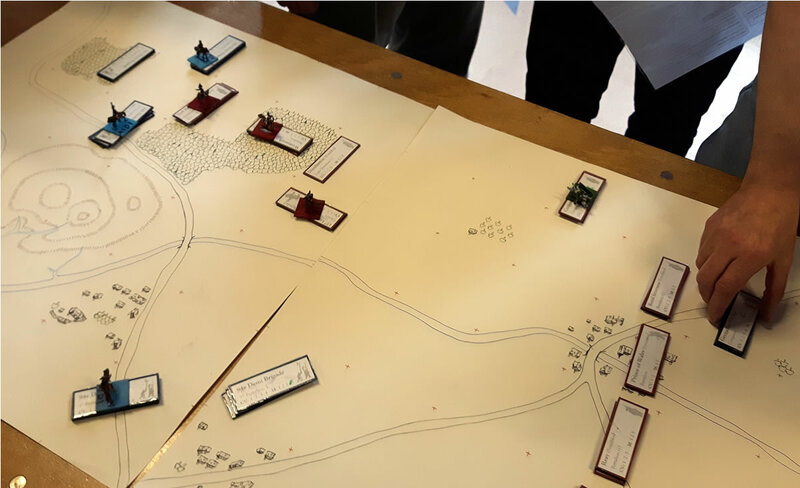 forces operated in little teams and the communication between them, negotiation and the issuing of orders felt authentic and evocative of the confusion in the field one might expect. No plan withstands contact with the enemy. It cannot be as granular as a full campaign, but it is probably a lot better than many simple narrative campaigns people sit down to, and the interactivity feels much greater and more immediate. I would certainly recommend you consider one some time. 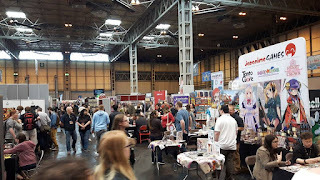 There are many providers of such events nationally and around the world, with themes varying from military to political or social, historical, fantasy and sci-fi. 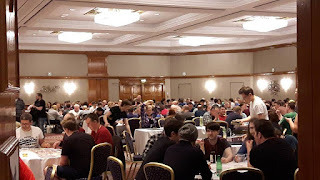 Pennine Megagames were this events' organisers and did a good job of it. To this end I'm dubbing mine 'Gerblins' as a sub-species. Nevertheless the finished result looks alright. So I had a nice weekend away. The UK Games Expo is the largest event of it's kind in the UK, I suppose if you are pedantic, and some wargamers surely are, you might argue Salute is bigger, I can't say other than that as I understand it Salute is a Wargames show. 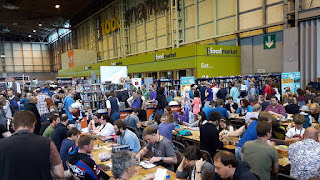 Expo is Boardgames and Roleplaying games first and foremost, with Wargames a distant, but present, third. 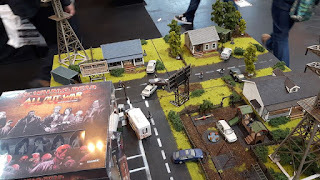 I've said in the past about how when I go to a wargames show, it is all about eye candy and shopping, and is generally an exercise in getting through the throng as quickly as possible. Two or three hours is generally enough, and i will not play demonstration games (unless I'm running them!). 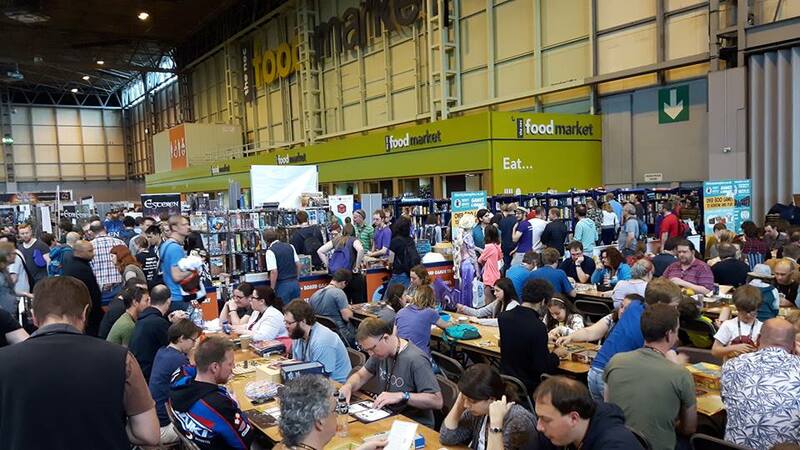 I think the real difference, is that on top of the ability to shop, board game shows strike me as more social and more welcoming experiences. 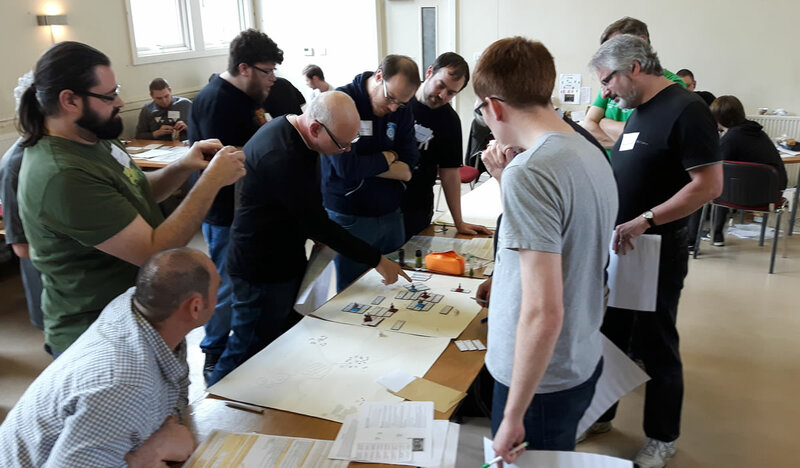 Wargames shows in the UK could learn much from the approach, but at the same time the audience has much crossover, but remains distinct in many ways. 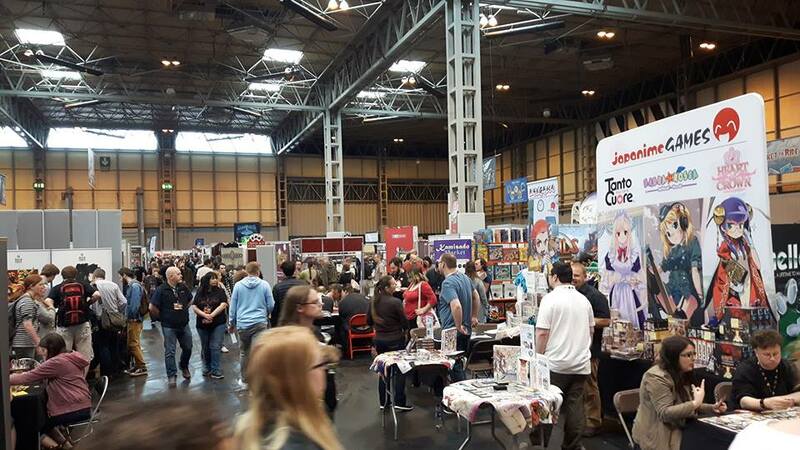 Small events can be very like this in wargaming, but Salute aside would it ever be possible for a wargaming show in the UK to have 15-20 thousand individual attendees over a weekend? 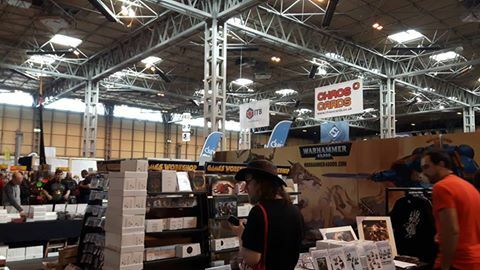 Well, anyway, musing aside, if you are at all a board gaming fan I would heartily recommend a visit, if you are solely a wargamer there may still be enough to interest you; but at least give something different a try to see what our biggest wargames shows should perhaps aspire to learn from. 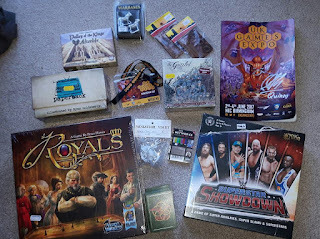 As to my shopping, obviously mainly I picked up board and card games, though with a few miniatures oddments in there too (more baggage from Warbases for example). Of interest to the wargamer crowd here is most likely to be The Grizzled, a cooperative card game for 2-5 players set in WWI. Players represent a group of friends enrolled in the French army, trying to get through the war alive together. It is well regarded and I look forward to playing it. Also bordering on a conflict system I guess is Superstar Showdown, picked up for all of six quid! 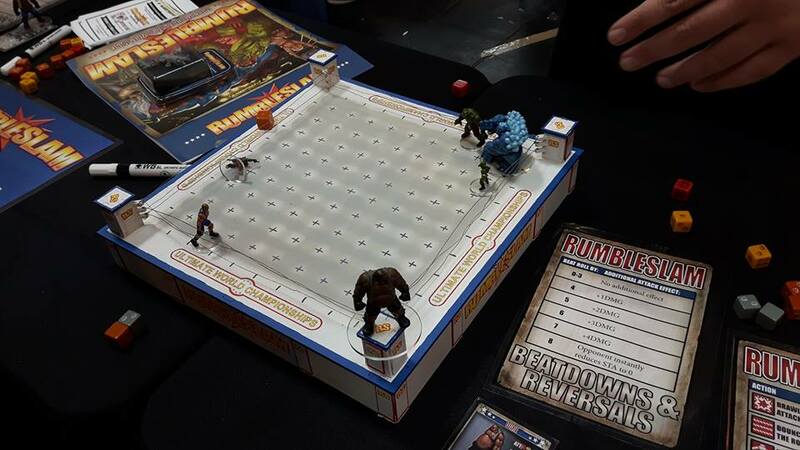 A 'better than it has any right to be' card driven combat game. 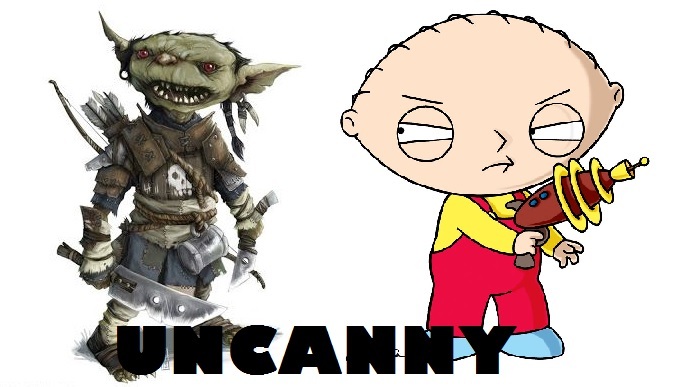 Sometimes you find you've set up a game and it's essentially a retread of a previous action. 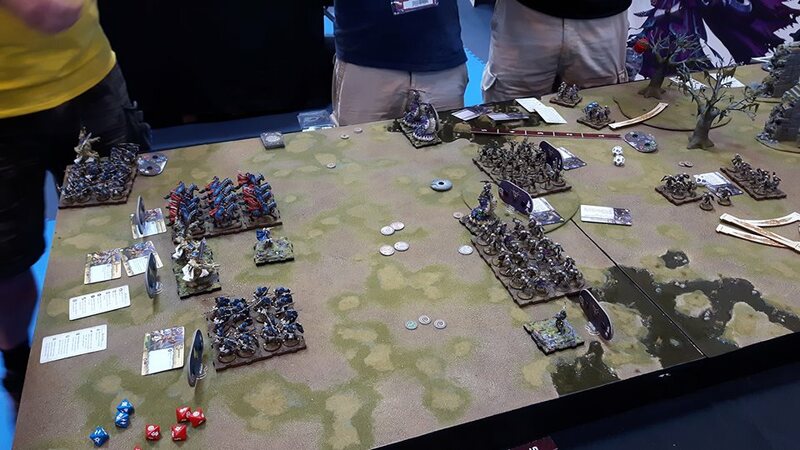 Looking at the photos and recalling this battle it occurred to me that this game set up was almost identical to the scenario I last played with Gav two years ago. 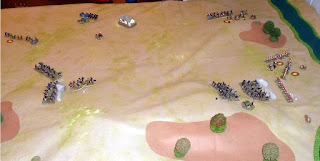 This is always a risk with my Zulu wars armies. 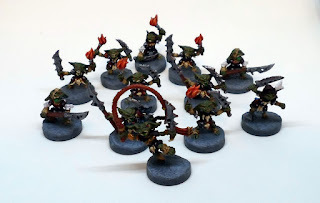 I think I need to add some more variety to them so some other situations can be tackled; of course that means painting a bunch more of the buggers! So myself and Paul met for a battle and decided to eschew the Ancient and medieval in favour of something more recent, still featuring spears and shields, but also alongside Martini-Henry rifles and 7lb Mountain Guns. 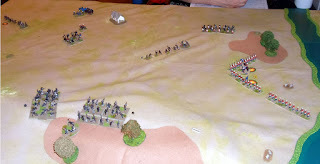 Paul took command of the British column, whilst I played the hidden Zulu forces. 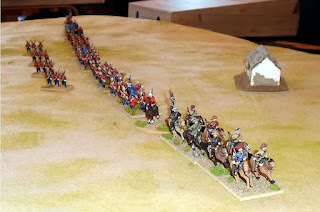 The British had to deploy as if on the march, with their Horse to the front and Artillery train to the rear. Their object, to make a crossing of the river. 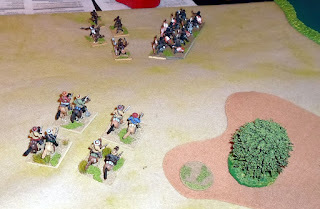 Sensing trouble, and let's face it, in a wargame why wouldn't he, Paul ordered a redeployment to a company wide march, whilst his cavalry was to dash forward to the river. 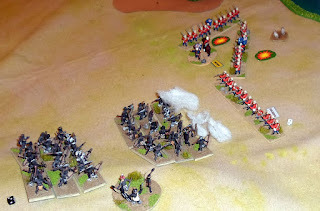 Immediately there was a blunder though (once again we used Black Powder, my favourite rules for covering a wide range of actions in a gentlemanly manner). The Natal Native Horse caught scent of something and galloped off to their left over a small, scrub covered hill, in doing so proving suspicions correct, they stumbled upon several hundred Zulu moving to the British flank. This resulted in the Zulu unleashing their trap, with their main attack blocking the route to the river. At the same time masses of Zulu appeared on the long ridge from another wide copse of scrub-land, and a smaller attack approached the British rear; swiftly engaging the ammunition train and forcing the artillery to retreat. Paul sent urgent orders to his horse to protect the rear, whilst his main infantry force formed a battalion square. Calm in the face of nearly 3,000 Zulu. 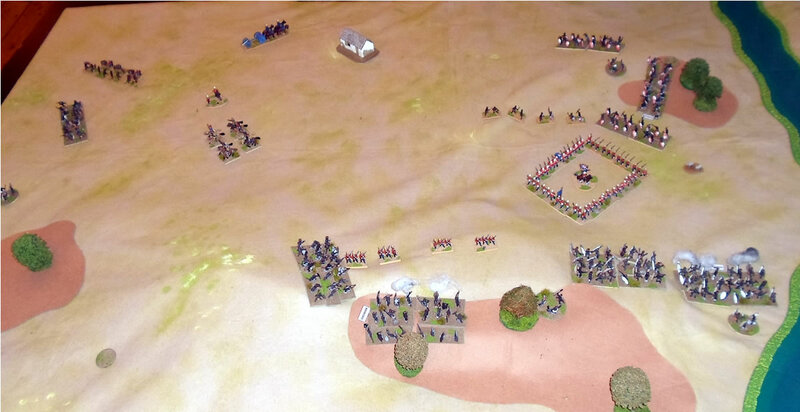 The square suffered a dreadful blow in the face of the coordinated attacks, with the natives on three sides of them. Holding off the largest, most obvious groups with measured rifle fire, a surprise attack from the scrub made it home the the Left side of the square and in a sharp action, rendered it inoperable. Soon the Square had to collapse for it's own good; becoming a vague line instead. Nevertheless, the weight of fire was enough to keep the majority of the Zulu at bay. To the rear the Ammunition train had been scattered, and young Zulu warriors were busy gathering new weapons and cartridges. On the long hill the light infantry company had also been put to flight. 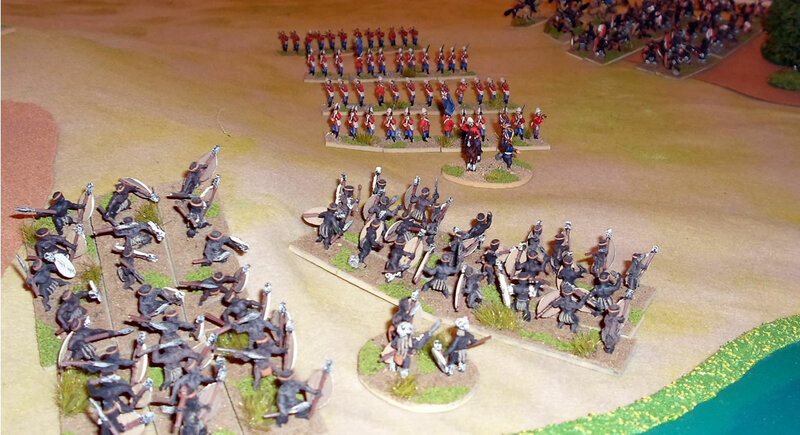 But the main battalion of the British had managed to reorganise, and driven off the main threat of its' enemy. The Zulu came down from the hill and attempted to break the weakened British, now low on morale and ammunition. Dense volleys of fire exchanged at 50 yards or less. This would continue for the rest of the battle, with the British firefighting tattered morale and slowly withdrawing onto the river. As night fell the British were divided, but just about holding on. Each side was by this stage at the edge of its' army breakpoint, and the loss of a single unit would have made their situation irretrievable. In the end, the Natal Horse and Artillery were able to denude the Zulu rear enough to take the will from the Africans to prolong the fight away. But it was very close.